Undoubtedly the incumbent government in Kabul takes security a top most precedence. It’s not surprising to learn –the onset of regular talks between Afghan government and Taliban leaders are heading towards some resilience if not concrete solution. It worth noticing with succession of talks the degree of uncertainty associated with it went colossal, notwithstanding its credibility diminished. It’s widely considered Taliban’s’ central leadership might not be in the line with the aforesaid developments. Hence, the talks were deemed as individual efforts –faraway from bearing the expected fruits, as the central leadership had not broken the silence to talk on the subject. 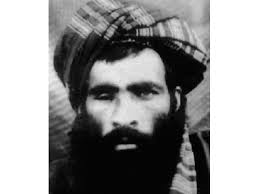 The emergence of Taliban’s de facto leader, Mullah Omar first ever surprising message let the dust of ambiguity settle. This has been the subject of greater interests reflecting Taliban’s twin unilateral and uniform stance evident. In the latest development, talks between Taliban representatives and members of Afghan society, focusing on women’s rights in Afghanistan has taken place in Norwegian capital, Oslo. Reportedly, Taliban has demonstrated willingness to let women partake in socio-political endeavors and chase their academic goals unhampered. Will Taliban surrender to equal rights for women? Earlier, in the latest round of talks Taliban while responding to demands of ceasefire Taliban conditioned it to formation of United National Government. 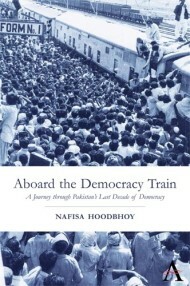 It is an evident shift as earlier it was conditioned to complete withdrawal of international forces from Afghanistan. Hitherto, the details of this government is uncertain –however following the political temperament of Taliban, the demand of reservation of lion’s share in the current democratic setup, may be a credible guess. Mullah Omar also said they formally recognized the legitimate rights of all afghan including minorities as their religious duty. The timing of this message is centrally important –where Mullah Omar seems to be quite optimistic about the forthcomings changes that are likely to materialize. “No one should fear about what will happen if the Islamic emirate comes to power. I assure you that the upcoming changes will in no way resemble the situation following the collapse of the communist regime when everything turned upside down” said Taliban’s Supreme leader. It is found the de facto leader giving assurances as if they have made their way to greater share in the altered forthcoming setup. The degree of confidence demonstrates Taliban will join the government and the peace talks crystallize given their demands of giant share are okayed. Omar’s statement comes days after Taliban representatives and Afghan officials held first direct talks in Pakistan and agreed to meet again after the fasting month. Mullah Omar confirms Taliban’s political office in Doha for tackling political affairs and was entrusted with the responsibility of monitoring and conducting all political activities. It depicts the said office established years ago contained Taliban representatives set free from Guantanamo bay and Bagram prison for political purpose. It was following this development that the US unbranded Taliban as a terrorist outfit separating it from Al Qaeda. The distinction carved underlines; the US’s deep rooted global interests are endangered by later than former. Broadly speaking it seems to be a sub plan of another master plan where Taliban are given space to join back the political domain and disband militancy. It is this plot that is seemingly crystallizing imminently. Mullah Omar in his statements confirms the political talks alongside the jihad a legitimate Islamic discourse. He said, “Concurrently with armed Jihad, political endeavors and peaceful pathway is a legitimate Islamic principle and an integral part of Prophetic politics.” He said the objective behind their political endeavors as well as contacts and interactions with countries of the world and Afghans was to bring an end to the occupation and to establish an independent Islamic system in Afghanistan. This is not a genuine claim retracing the footprints of history we hold Taliban a foreign element the sole factor behind foreign occupation –whose oust is demanded at present. This is nothing more than a political statement to drive them to political privileges in the incumbent government in Kabul. The masses find it hard to unlearn the grave human right violation and women right suppression at the hand of Taliban. The history bears Taliban apolitical say prior to its aristocratic regime and has hardly used legal course to get their political dreams come true. Even hitherto, Taliban resorted to momentous violence when peace talks are underway. It’s whether a shift or diplomacy Taliban leader calling in for oversized confidence in the ongoing political process. He said, “All Mujahidin and countrymen should be confident that in this process, I will unwaveringly defend our legal rights and viewpoint everywhere.” Taliban should be grateful of democratic setup in practice in Afghanistan that even gives Taliban an opportunity to partake in political maters but it also demands they must be tried for some if not all mass massacres executed across the length of Afghanistan. Conciliating with political stance of Taliban that make further peace talks, Jihad renders equally unacceptable and illegitimate. Who are they, Taliban have had waged jihad with? They are none expect the innocent civilian who due to bear the brunt of butchery. This tale is confirmed by credible report that lists over 200,000 people killed in war against terror. Who should be held accountable for these mass killings? The report alleges them for most of casualties. We are peace seekers. We negotiate peace, even with the assassins of humanity, peace and tranquility. This very stance is stressed by both head of government and political leadership of Afghanistan with variant degree of assertion. Awfully peace is talked to those who have killed over hundred thousands of innocents and physically impaired even a multiplied number since the beginning of war launched against terror. Its appreciable Mr. Omar recognizes the legitimate rights of all Afghans including minorities a religious duty –nonetheless prior to asking forgiveness for the past atrocities and submitting to free trial the moral responsibility does not end –Taliban and its politics might not find acceptance. In spite of differences, let’s put our finger cross for the success and fruitful finalization of negotiations. But, there are some hard born queries to be sought out prior to making any deal. Should Taliban be given amnesty seeing them executed mass massacre of innocent people? Can Taliban get them adjusted with democracy, who are born and raised in dictatorial setup? These queries might meet their fates as the time advance. After all, the dramatic emergence of Mullah Omar proves to be an impetus for the ambiguous peace talks.